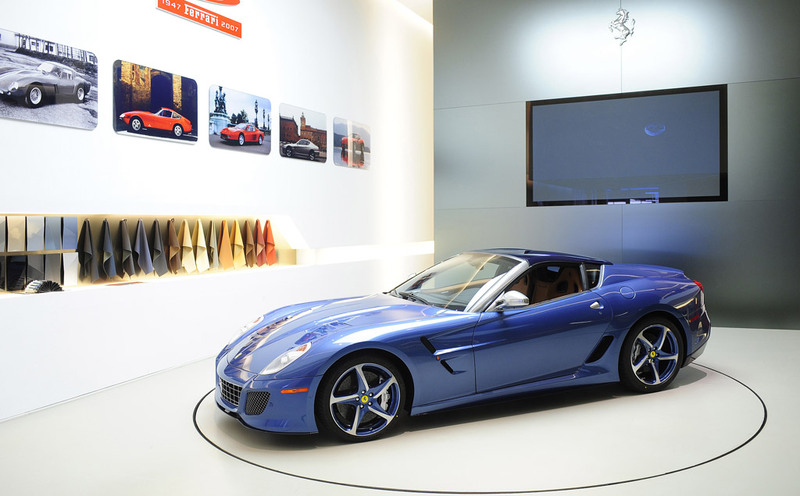 Here's a very special way to celebrate 45 years of owning prancing horse models: asking Ferrari to build a one off version of the already gorgeous 599GTB. That's what New York collector Peter Kalikow did. And the result is truly stunning. The one-off model called Superamerica 45 will be publicly unveiled this weekend at the annual Concorso d’Eleganza Villa d’Este in Italy. 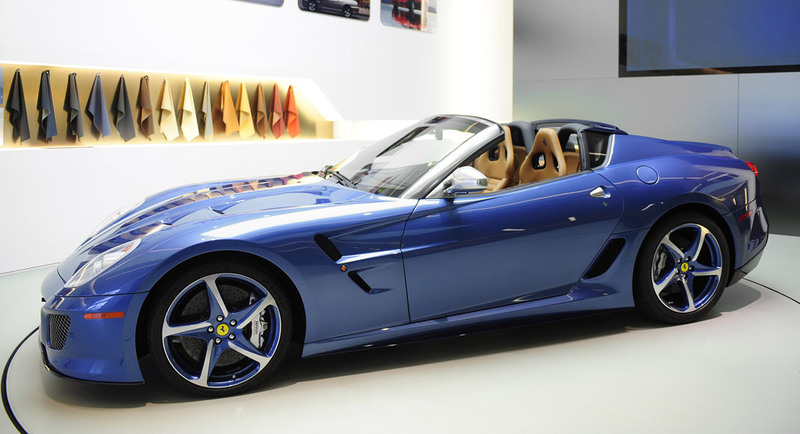 The supercar borrows some design elements from the 599GTO like the rear diffuser and the front bumper but it features unique design elements like the double air vents on the front wheel arches, a radically modified rear end with a rotating carbon fiber top featuring a similar mecanism to that of the Ferrari 575 Superamerica and body colored wheels. 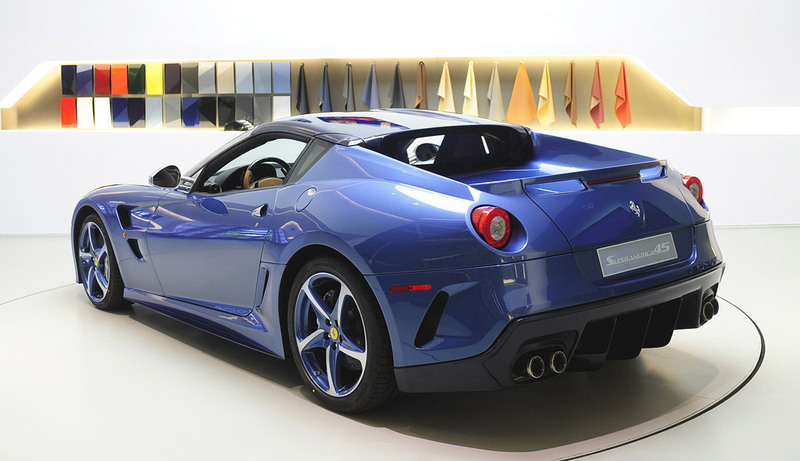 And in case you were wondering, the cars'color is called Blu Antille, a color used for another bespoke Ferrari model for the same owner.